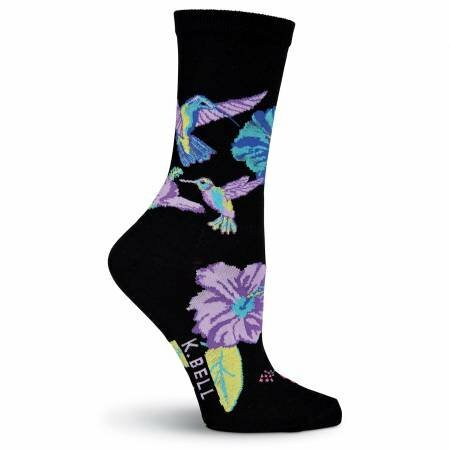 Feel light on your feet in these beautiful hummingbird socks from K. Bell. These women?s patterned socks feature tropical hummingbirds and hibiscus and are a dainty women?s fashion sock. Get these hummingbird women?s crew socks today. THE ENCHANTED QUILT is located in north Texas about 20 miles from the Oklahoma border. We love our customers and want our shop to be a place that is fun and enjoyable. Thus, "The Enchanted Quilt is Where Magic is Made From Fabric and Friends. ".